The concept was real simple for this once 12-year-old kid in the mid 1980’s. If the toy looked Japanese…I bought it, regardless if I even knew what series it was from or not. 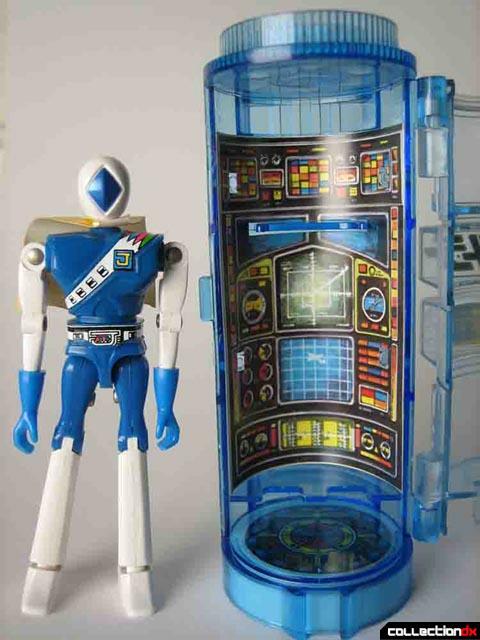 Years later I had assembled a huge collection of Japanese toys and when it came to identifying some of these toys pre-internet days it was near next to impossible. 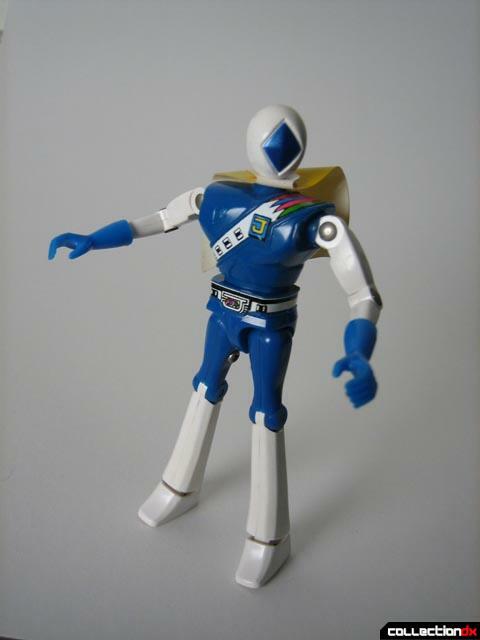 So I now introduce one of these toys that I haphazardly bought, JAKQ’s Dia Jack Blue. JAKQ was the second Super Sentai series from 1977. Although now considered a groundbreaking program, JAKQ only ran for 35 episodes and was cancelled about a third of the way through the series. 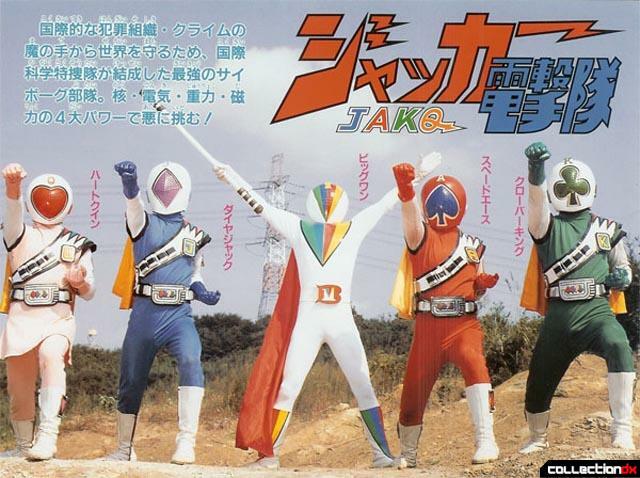 The costume gimmick of JAKQ was that all colored hero’s wore card shapes on their helmet’s visors: Spade Ace, Dia Jack, Heart Queen, Clover King, Big One and Commander Joker. The subject of this review is Dia (Diamond) Jack. I bought my JAKQ Dia Jack at an IPMS Model kit show at the Knott’s Berry Farm Hotel in Buena Park about 1986. It was in a huge box full of blow out priced Japanese toys and I believe I paid $2.00 for it. Looking back all these years later I wonder what other toys were in that box that I failed to recognize! This was also the same show that I saw the Tetsujin 28 Godaikin for sale for only $100.00! Boy, have times changed! 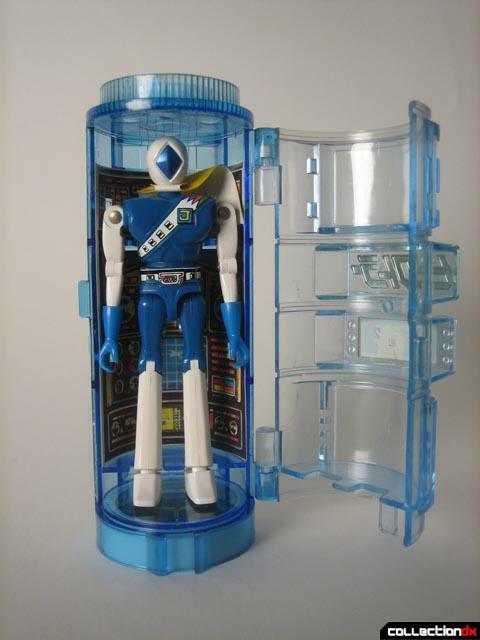 Dia (Diamond) Jack figure stands at 3 ¾ making it one of the few Japanese action figures lines next to microman in this scale that would later prove popular with Kenner and Hasbro with their respective lines. As my Dia Jack did not come with any packaging and was bought “as is” I do not have any photo reproduction of what the outer package looked like. My example came with: 1x Dia Jack Figure, 1x Strengthening Capsule. Typical of many Japanese figures of this era, the figure is not a realistic depiction of a human body; I hate to see what the female Heart Queen figure looked like! Dia Jack bends at the knees, hips, elbow and shoulder. The gloves, head and waist also spin around. The figure comes with a cool yellow vinyl cape that adds a lot of character to the figure. I also love the look of the diamond visor helmet. In my opinion JAKQ helmets are the best looking in entire 30 year series and one of the most easily remembered. One of my favorite features of Dia Jack is the strengthening capsule that is included with the figure. 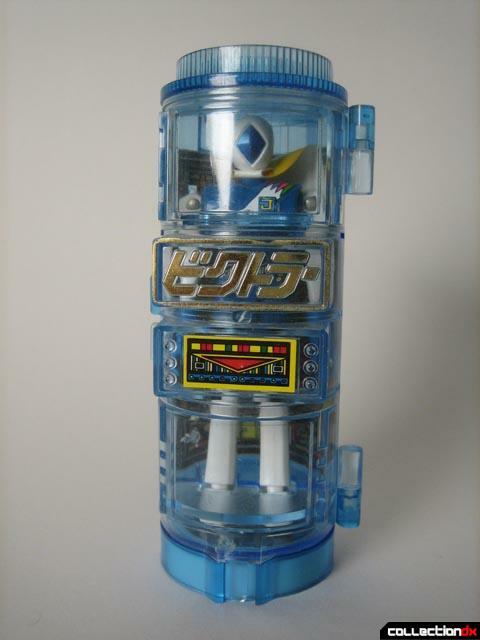 In the series each character henshin into their respective outfits in these strengthening capsules that was located in their ship, Sky Ace. It is a great carrying case for Dia Jack and it holds the figure securely inside the capsule. The capsule could also explain why my Dia Jack was in clean condition when I purchased it and why stayed in mint condition in my possession for so many years. Over the last few years I have been clearing out many of my Japanese toys and focusing my collection on Chogokins, Macross, Robotech and 1980’s GI Joe related items and I have since sold this figure on Ebay to a local collector for $23.00. If you are a fanatic about this classic Super Sentai series I would definitely try to assemble a complete set as it would be an impressive and unique display. But to be honest I’m going to patiently wait for a better and true to life toy depiction of JACQ’s characters, sadly something I do not see happening any time soon. ...and is [so far] the only season of Super Sentai to be ended early (only 35 episodes) due to poor ratings. Whereas the first Super Sentai series, "Himitsu Sentai GoRanger", ran for two years (1975-1977) and 84 episodes; the only one to reach both of those benchmarks. Neither "GoRanger" nor "JAKQ" were officially considered part of the Super Sentai saga until they were added to the list in 1994, when "Ninja Sentai KakuRanger" was airing. One of the key reasons for this was that neither show had a giant robot in it- which is one of the requirements for being part of the Super Sentai saga. In fact, if it hadn't been for the relative success of the non-Super Sentai, tokusatsu series "Spider-Man" and his own transforming robot Leopardon and Toei Co. Ltd's partnership with American comic book publisher Marvel Comics, the next Super Sentai series, "Battle Fever J" would not haver been possible, and thus featured the first giant robot for the saga, the Battle Fever Robo. I love your articles mate!